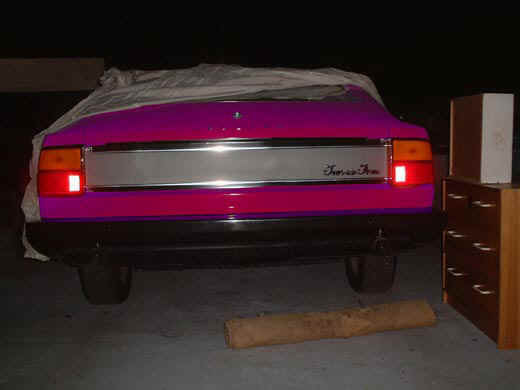 In the late 70's Dacia tried bringing it's 1300 to the UK but dreadful build quality and none existent parts supply saw the company tasked with selling them using up UK supplies of Renault 12 parts and embarking on ever more creative repairs using parts from all sorts of other cars before giving up. Undetered by this a chap tried importing the facelifted Dacia 1310 in the early 80's. He recognised the number was unappealing so renamed it the Denem and was rewarded with a trickle of sales. Spurred on by his success he imported the ARO 10 as well. To give more of a brand he renamed it the Dacia Duster. It continued on sale through the 80's alongside the 1310 pickup which he sold as the Dacia Shifter although the Denem was quickly dropped. 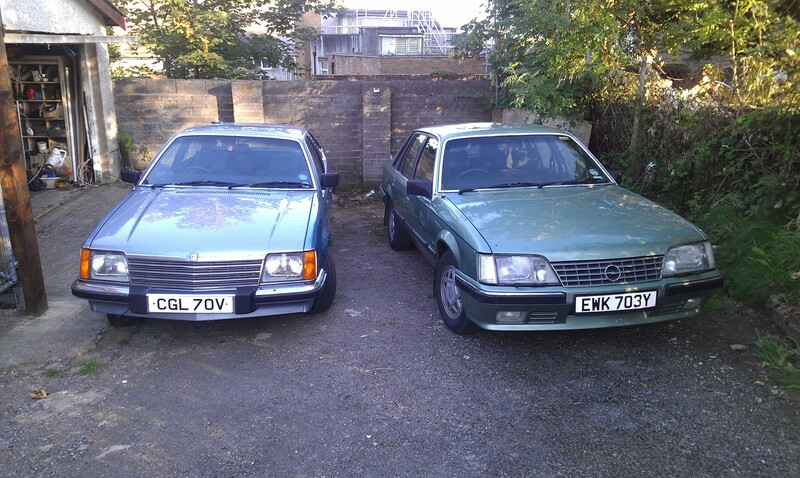 A handful have survived, I think it's one Denem saloon, a couple of Shifter pickups and about 5 Dusters. The main reminder of this operation is that Dacia now make a 4x4 named the Duster with hundreds of thousands sold and not a penny of royalties paid to the chap who came up with the name. You are welcome to a pic of the 1310 me and Ian brought back last year. Which was really an NSU, but Volkswagen bought the bankrupt remains. Three automotive unicorns is a row - a whole herd of them! Citroen ZXs used to be very plentiful... still a few owned by AS folk (yes, me included) but suddenly not common in the wild. 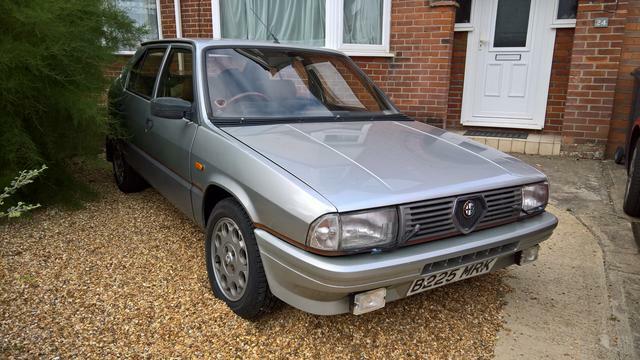 The 3-door for sale on AS at the moment is of particular rarity - I can't remember when I last saw one on the road. As a model, the ZXs are starting to turn up at classic car events, so I guess those that are left are starting to be appreciated. . The Citroen Xsara - essentially a ZX with new clothes on (or off, according to the adverts!) 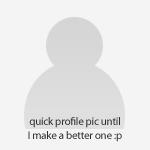 - seems to have vanished even faster. The only one I have seen lately belonged to a Citroen Car Club member and was at a CCC event, but I have not seen any others for a long time. The Citroen Xsara - essentially a ZX with new clothes on (or off, according to the adverts!)  - seems to have vanished even faster. I'm not surprised. They were abysmal. Compared to a ZX they were smaller, less headroom (I can't even sit in the back of a hatchback one), rubbish styling (especially the facelift) with rot problems and staggeringly uncomfortable seats. I ran a 1.9TD Exclusive for just over a year. I had to jam a box between the back seat and my drivers seat for it to not give me backache. The best bit of the car was the engine, and the fact that it had working AC. Other than that it was pants. Yeah but look at it. Tell me you wouldn't be happy to see that on your drive? I know i would!! and a longitudinal mounted C series Austin three litre engine driving the rear wheels. Cough.... BMC era, but the C Series was developed by the Morris Engines branch at Courthouse Green Coventry. Actually, they had carbon rotor tips to start with. They wore out prematurely and didn't react well to slogging in high gear at low revs. Then they came up with Ferrotic for the rotor tips and chrome chambers, which more or less solved the durability problem (as long as you used all of the three speeds properly). By this time it was 1972, and the reputation was already irretrievable. All but 10 Force 7Vs were crushed, this was done (to my knowledge) to make the remaining cars more valuable when they were auctioned off by Leyland Australia. An interesting thing of note is the handbooks for the Force 7V had been printed before the plug was pulled. These handbooks somehow made there way into public hands and are quite valuable. I have a copy and it is very interesting to read about how to change bulbs in a car that was never produced. It is also believed that 2 of the upmarket Tour de Force prototypes survived, but this has never been confirmed. The only evidence of their existence are these 2 photos. Fairthorpe Atom Major is on two, as is the Fairthorpe Atomota and the Tudor. Yugo Sanas are seriously endangered. 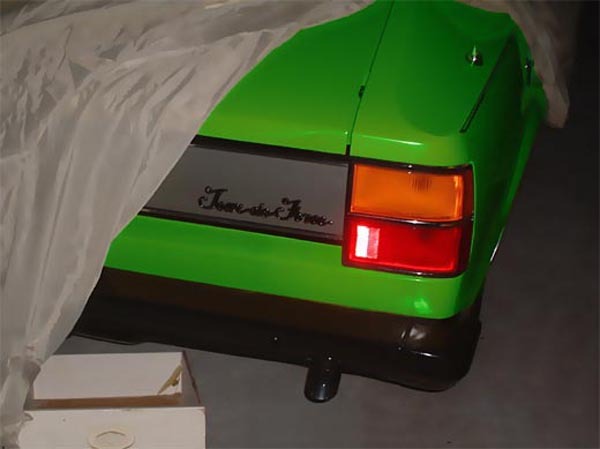 The original Moskviches are also all very, very rare, particularly the commercial versions. Wartburgs marginally thicker on the ground. Early Zastavas? The first Daewoos must be getting there. 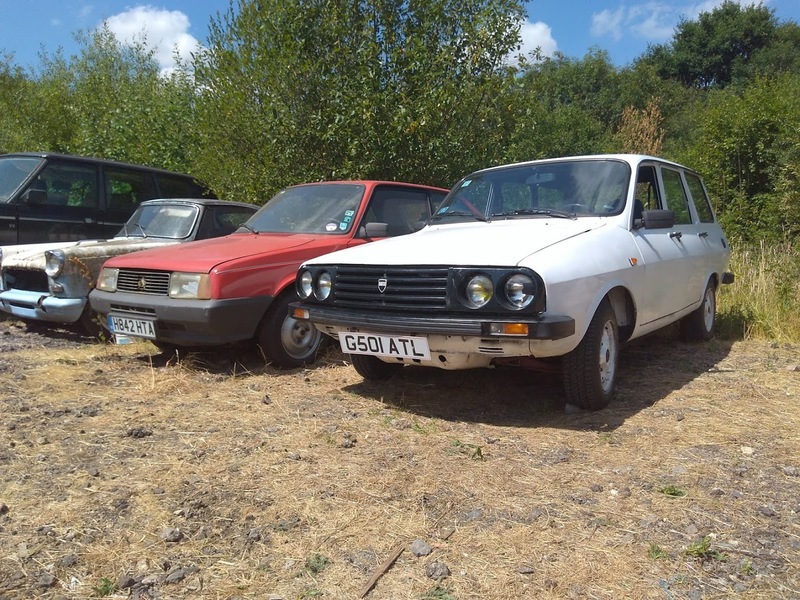 Are original UK Polski-Fiats extinct (Not FSO - the first ones, before they changed the badging)? Fairhtorpe Atom is, as is (I think) the Lonsdale. 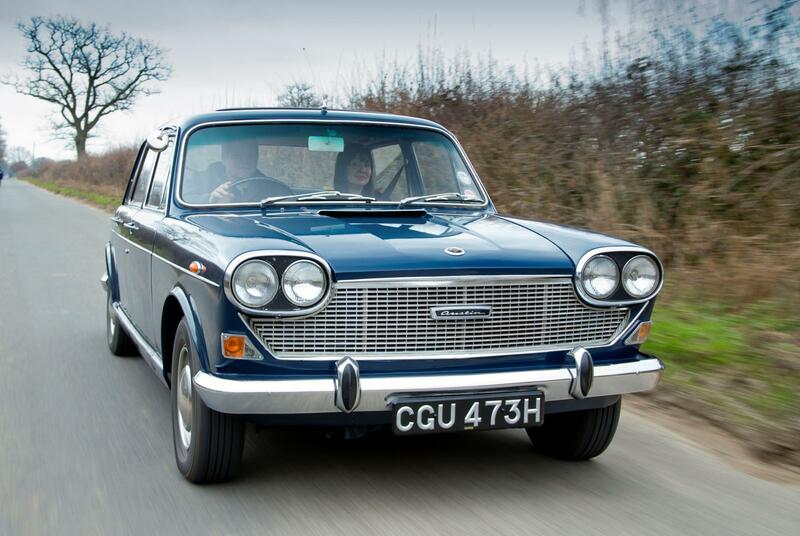 A very niche one: UK-spec European cars from the 30s to the 70s. Was at a house the other day with an UK-market DKW from 1937, which must be extremely rare, and was shocked to see an original NI Opel Admiral the other year. My Saab 90 is common as muck by comparison - 11 others on the road, plus about twice as many Sorned and probably a few more in barns. Can't be many used as day to day cars, though. Happy to be proven wrong with tales of other survivors! Someone I work with has the only known complete Fairthorpe TX. How about unicorn variants? Along the lines of Mk1 Focus ST170 estate, which reputedly was never any more numerous in RHD form than a couple hundred examples and presumably a lot scarcer than that now. Not only that, it's the range-topping Gold Cloverleaf with the trip computer of lies. There's still one Seat Malaga XL on the roads according to HML. 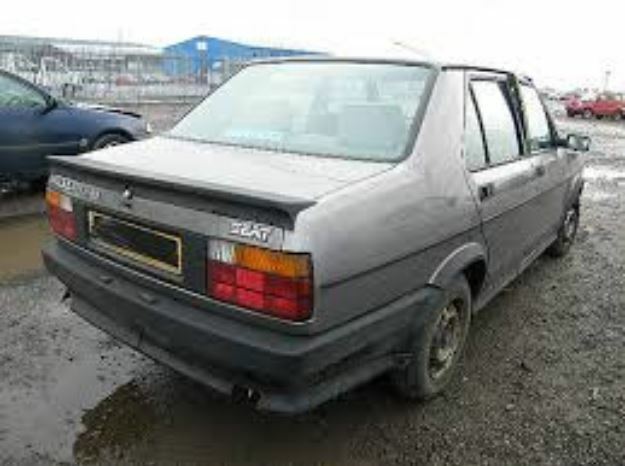 It may or may not be an import, we think the last UK one was stolen and scrapped about 10yrs ago but could be wrong as nobody seems to have spotted the one thats on the road AFAIK. I know Nigel B has a GLX which doesn't show up on HML which is an import and was off the road last I heard a couple of years back after a cambelt snapped. Not sure what Dooovla recorded that as. Scrapped one. Well, it went to a banger racer. Lots of emoticons and 'sutch a shaem' messages on social media, but no one wanted it. Needed approx £500-worth of work to scrape an MoT and I was skint. Peugeot 605 S1 - binned after a colossal number of time wasters. Got another one to repent. I haven't seen an Isuzu Piazza for quite some time. Concerning design flaws: the text book example is the radiator grille of the Ford Edsel, which was reminiscent of a 'lady's foo', thereby alienating purchasers who prefer their cars to resemble a giant winkie. 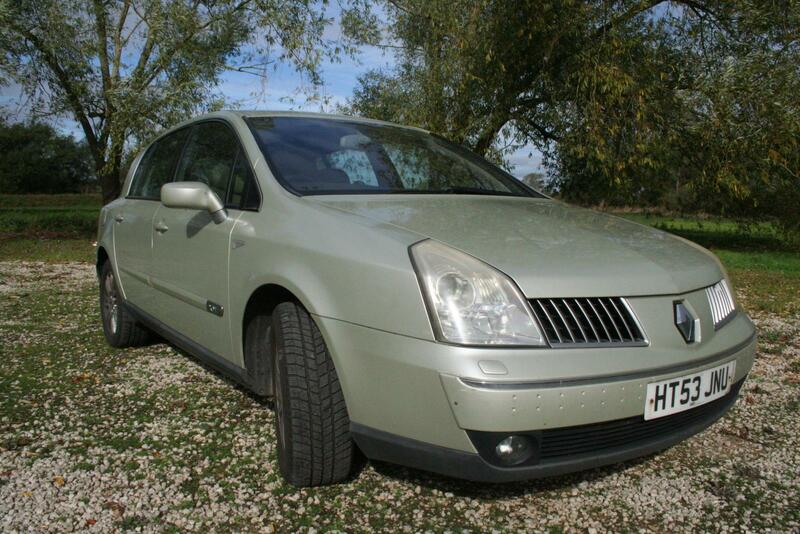 Renault Vel Satis - in close ratio 6 speed manual / 2 litre 16 valve turbo flavour. I do have a Seat Malaga; now back on Belgian plates which is prob why it’s not showing. I do have a couple of U.K. registered Mk1 Ibiza’s,( both 1990) a recently collected Marbella and the 1430 Bocanegra midway thru a welding spree. You did have me beat on a few of these. Don't think I could have identified a Seat Malaga or a Fairthorpe TX before my education. Interesting on the QX30. I hadn't really considered any current/modern cars so good shout on that one. Immediately made me think of the Vel Satis and the Avantime. I am glad someone brought that up as well. Panda's got thin on the ground all of a sudden. Only a few years back I remember a fair few Marbellas rolling around but they have disappeared in quick order. A friend of mine had a world cup 90 Panda with the football wheel covers as his first car. Anyone remember seeing those?